ABS-CBN Foundation International has made international headlines recently for stellar achievements: its record-breaking North America fundraising telethon partnership with ABS-CBN The Filipino Channel (TFC) and its news program, Balitang America, to help victims of Typhoon Yolanda (Haiyan) through its program Sagip Kapamilya in 2013; its Norcal Emmy Award for its “Fighting For Survival” PSA with Filipino American middleweight mixed martial artist and UFC fighter Mark Munoz under the category Spot Announcements-Community Public Service (PSA) Single Spot or Campaign; and the 18th anniversary celebration in March this year in Hollywood for its program Bantay Bata (Child Watch). 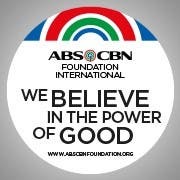 But ABS-CBN Foundation International wants people to know that it has much more to offer to people who want to help. Thus, it launched its “We Believe in The Power of Good” campaign and was joined by top Filipino celebrities as campaign ambassadors: Bea Alonzo for Bantay Bata; Gerald Anderson for Sagip Kapamilya; Robi Domingo for Programa Genio; Jodi Sta Maria for BayaniJuan; and Piolo Pascual for Bantay Kalikasan. SAGIP KAPAMILYA (Family Rescue) – Advocacy: Disaster Relief – conducts disaster relief and humanitarian assistance in calamity-stricken areas with the aim of enabling affected victims, families and communities rebuild their lives and begin sustainable rehabilitation programs. PROGRAMA GENIO (Program Genius) – Advocacy: Education – Programa Genio envisions discovering and developing the inherent genio or genius in every child. The program, which works in cooperation with the school division of the Department of Education, aims to propagate school reform in public elementary schools and bring quality education to the underprivileged. BAYANIJUAN (Juan’s Town) – Advocacy: Community Development – BayaniJuan is a community development, relocation and outreach program where we teach locals the skills and livelihood to become self-sufficient and uplift their quality of life; it also aims to provide underprivileged families and informal settlers a sense of rootedness and acess to basic services. BANTAY KALIKASAN (Nature Watch) – Advocacy: Environment Conservation & Protection – our program that supports the cause of environmental and natural heritage conservation and the socio-economic uplifting of local Philippine communities through the principle of sustainable development and development of ecotourism sites. I am a proud fan of Miss Bea Alonzo, having her as part of this program. I salute everyone involved. ABS-CBN, you are the one. Bantay Bata and Bantay Kalikasan are the closest to me. I have been a sponsor parent of World Vision since 1980 and still doing so and also contributing to their other programs. I have been very vocal against China destroying the beauty of the seas/oceans. I phoned the number given, but could only phone during the hours Pacific time. Will make an effort to do so. I LOVE U PAPA P.